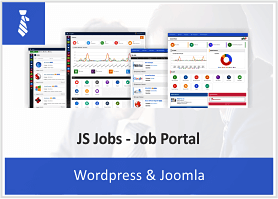 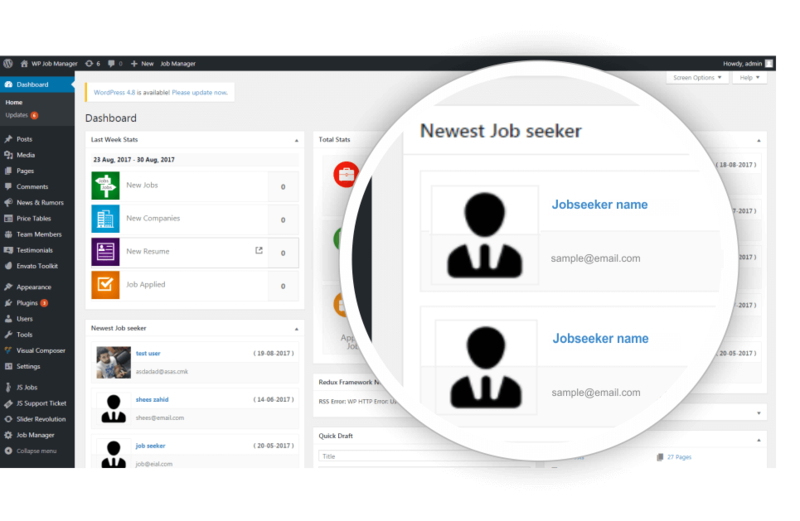 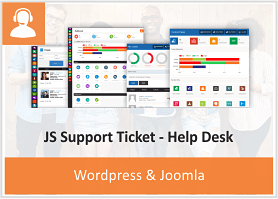 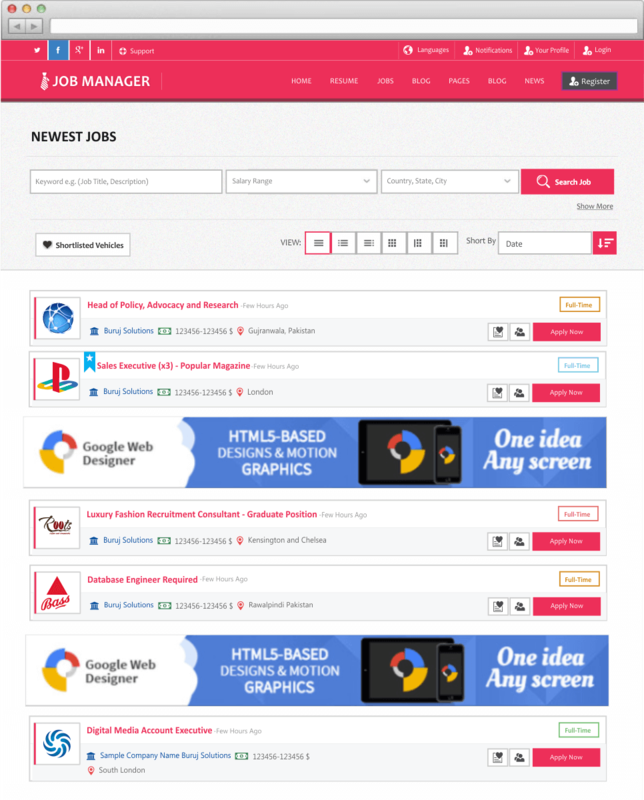 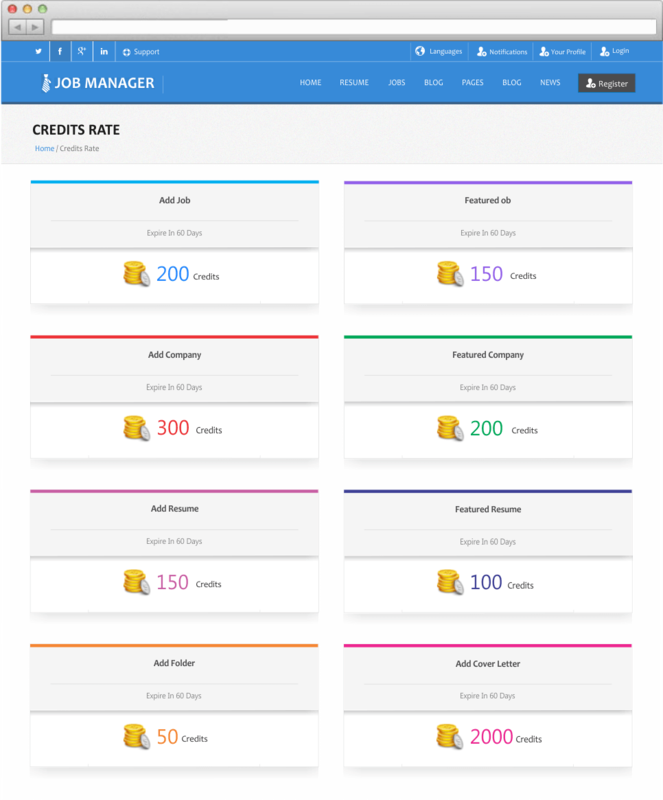 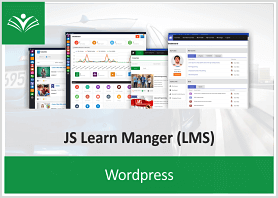 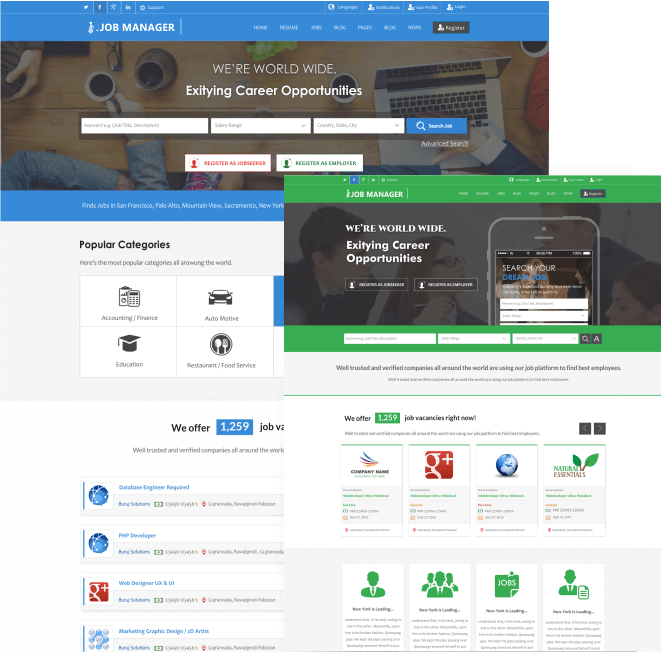 JS Job Manager theme is one of best Job Board theme with extensive and featured rich solution for Recruiter and Jobseeker. 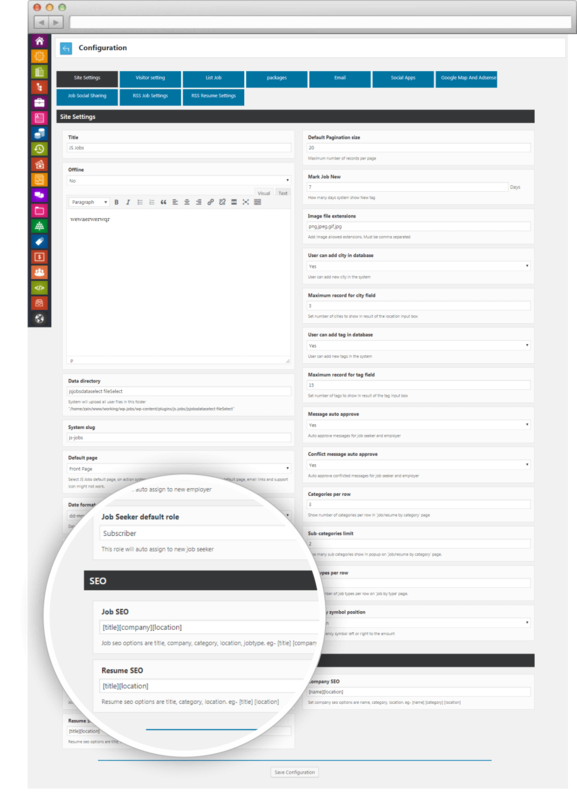 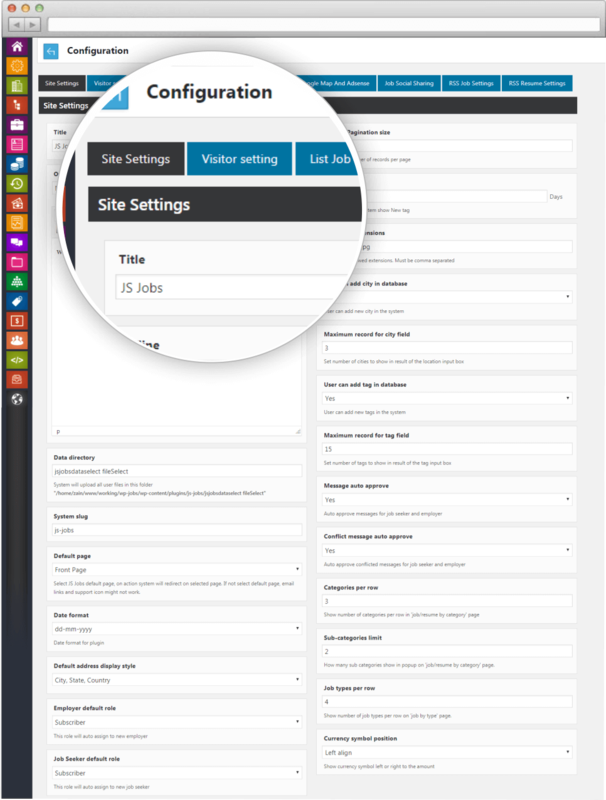 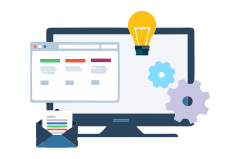 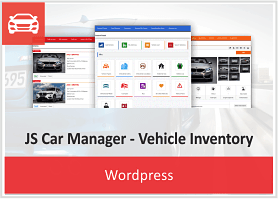 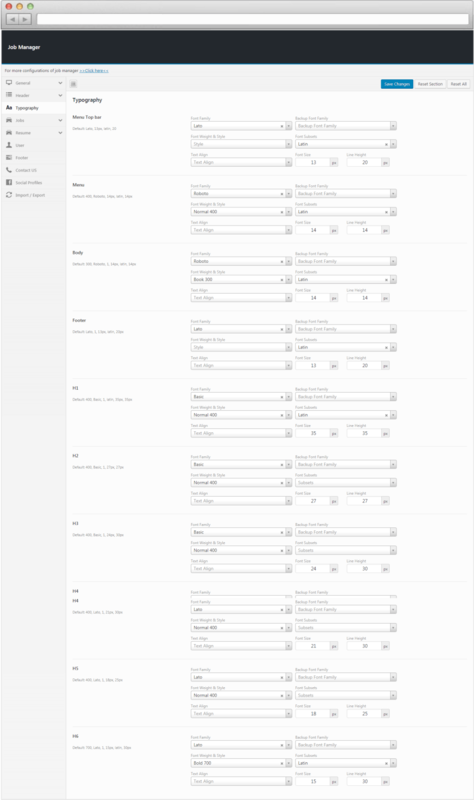 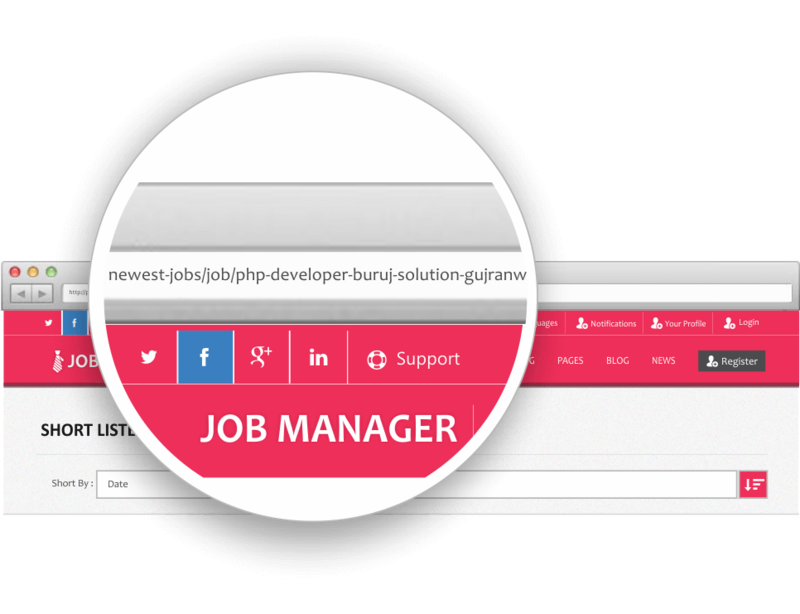 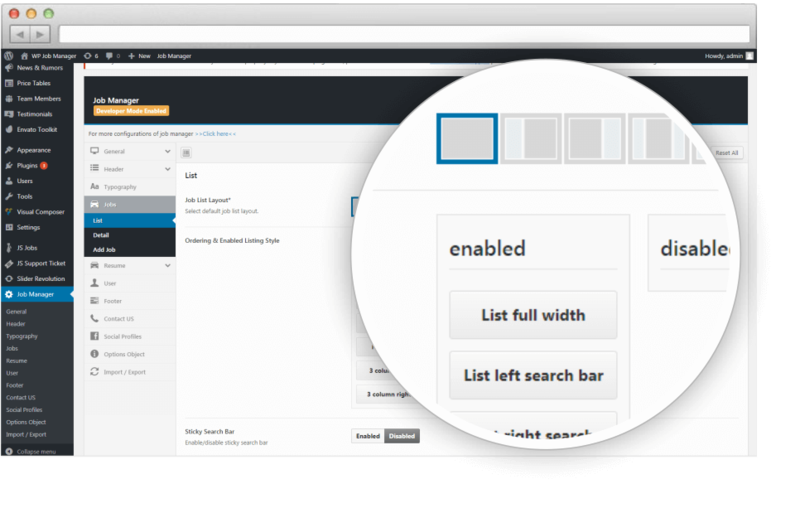 Wp Job Manager includes an impressive set of features and functionality, combined with an intuitive theme options control panel, all wrapped up in an attractive and fully responsive design. 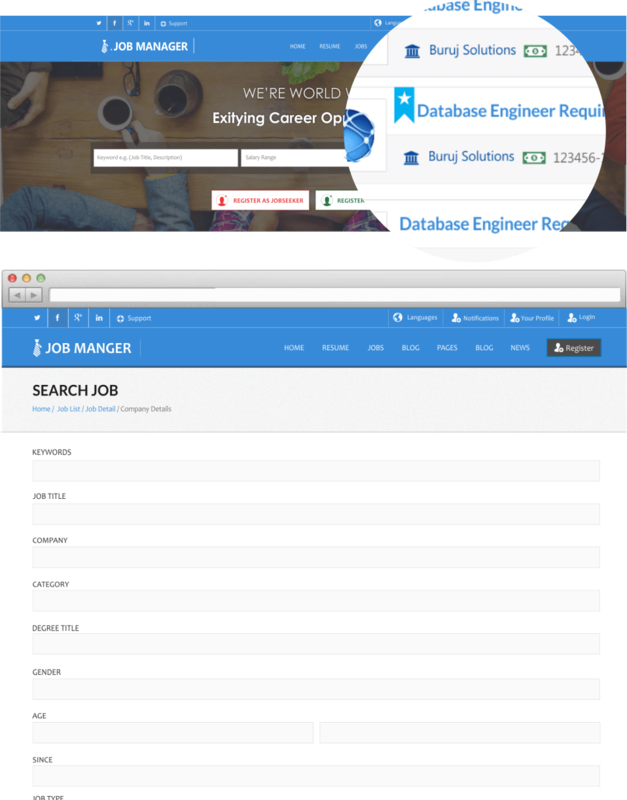 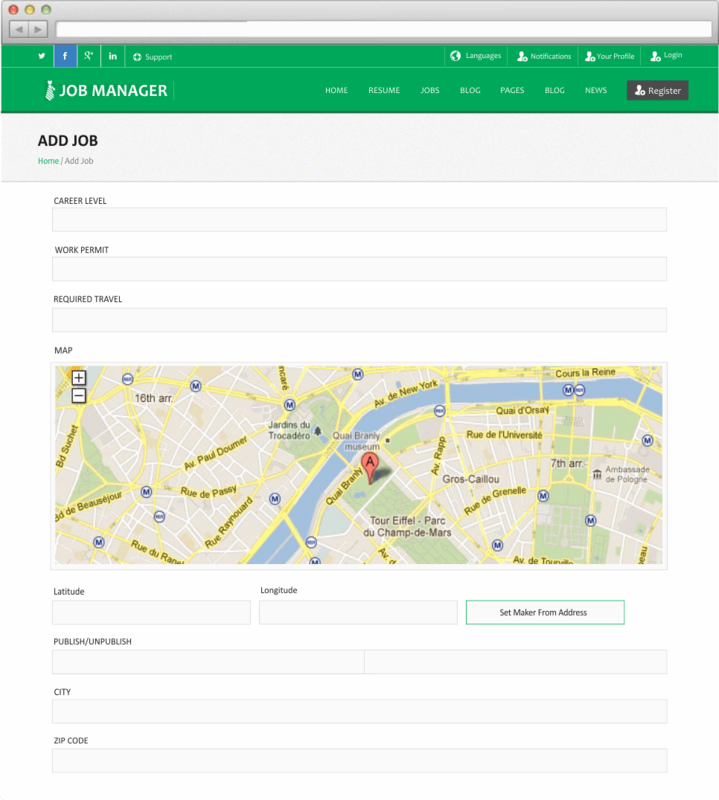 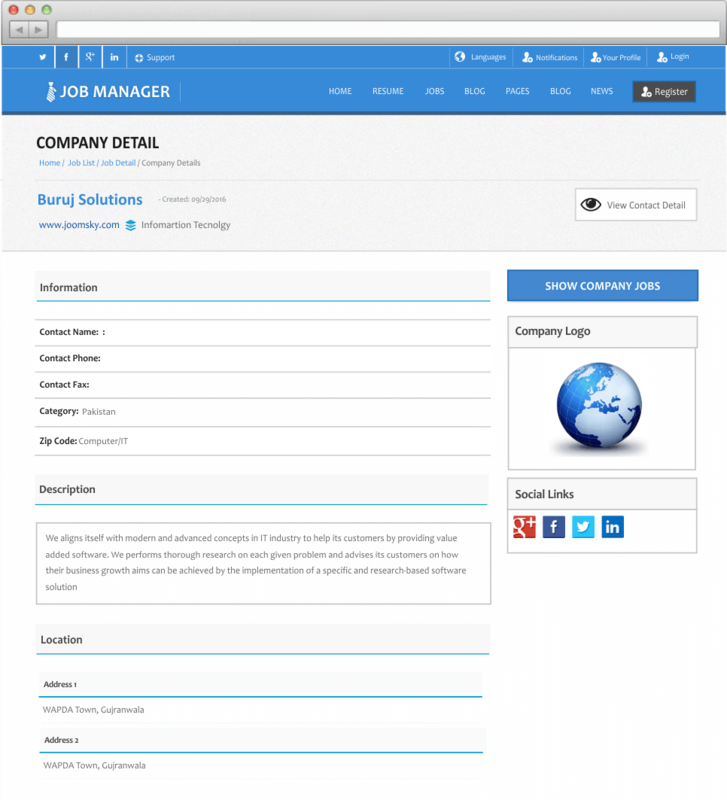 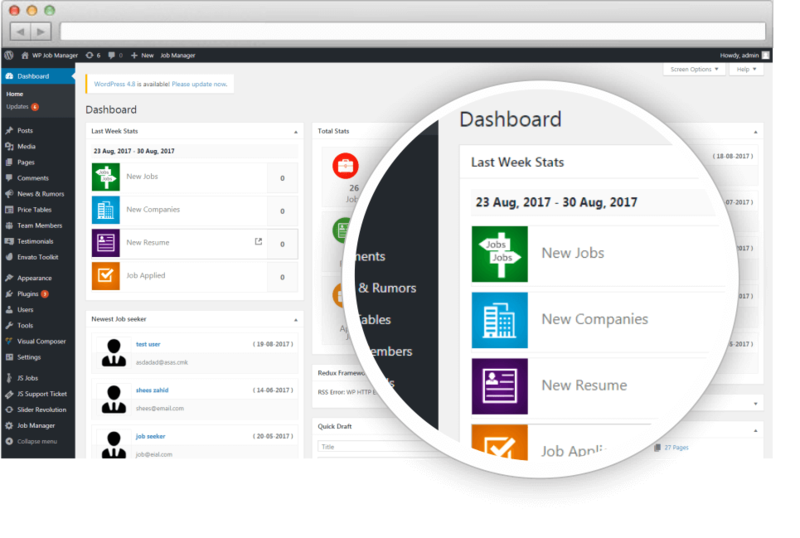 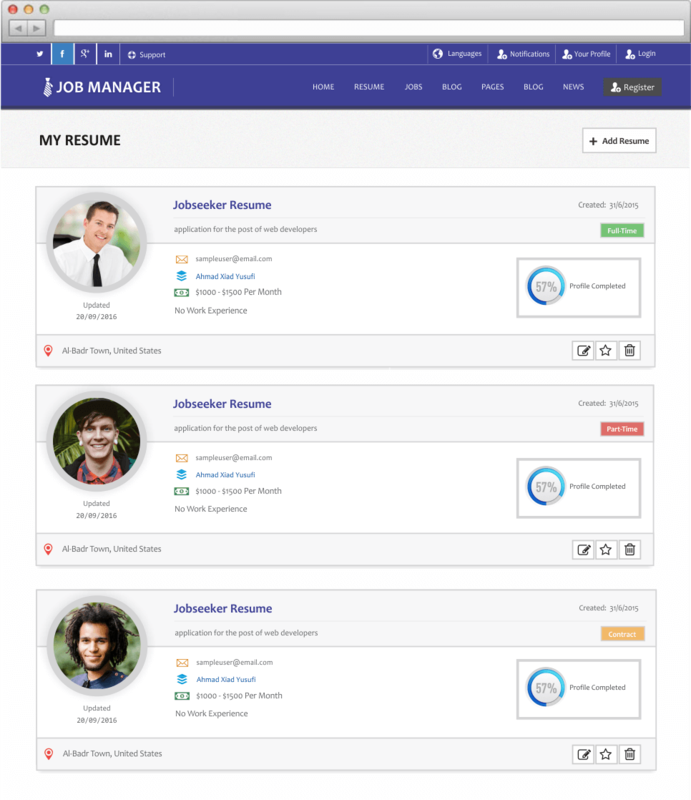 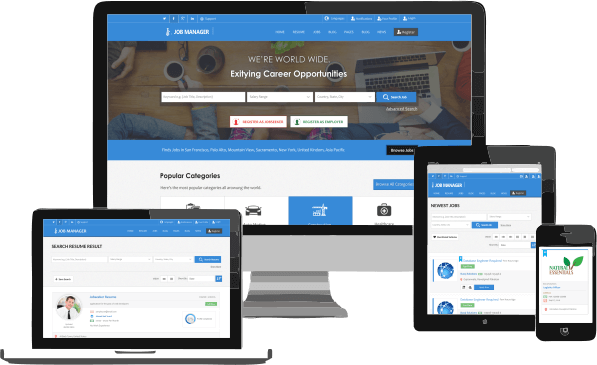 Job Manager is powerful mobile ready responsive theme running beautifully on all devices like (Mobile,Tablets and desktop). 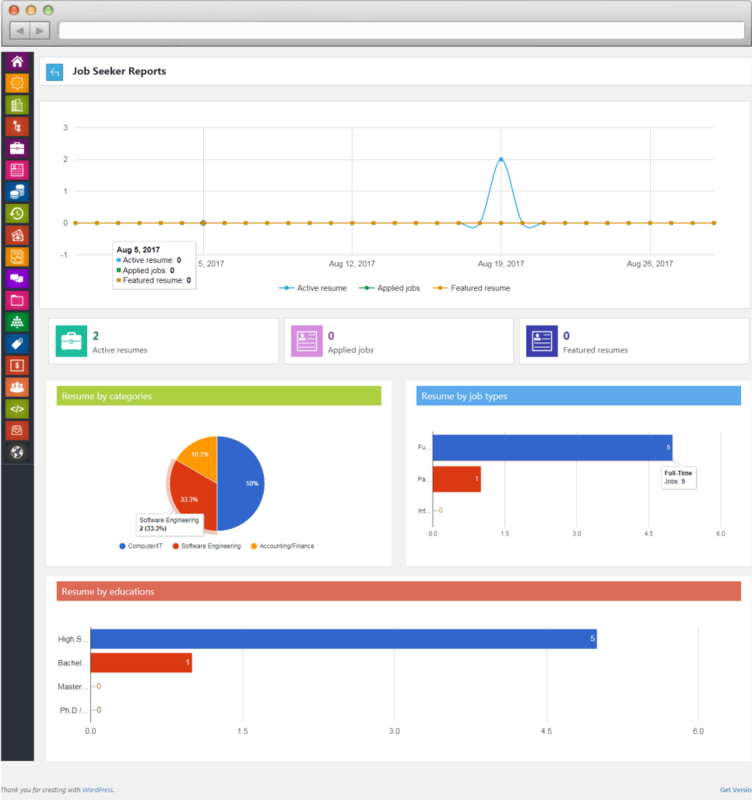 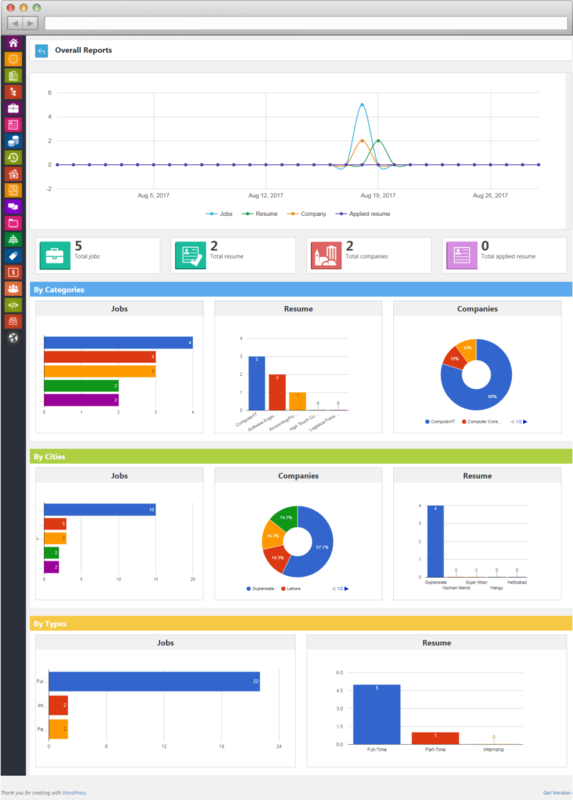 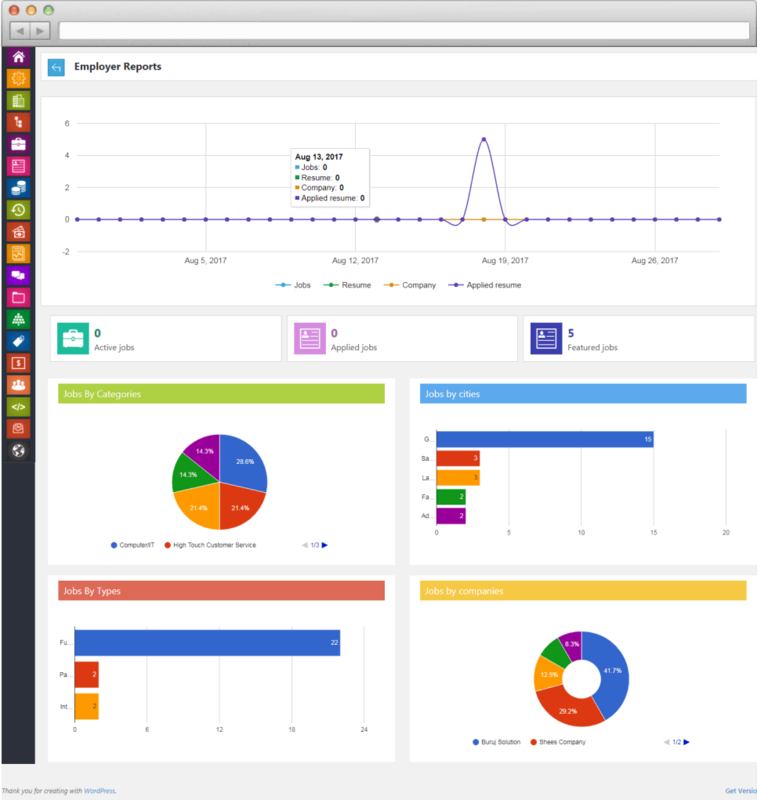 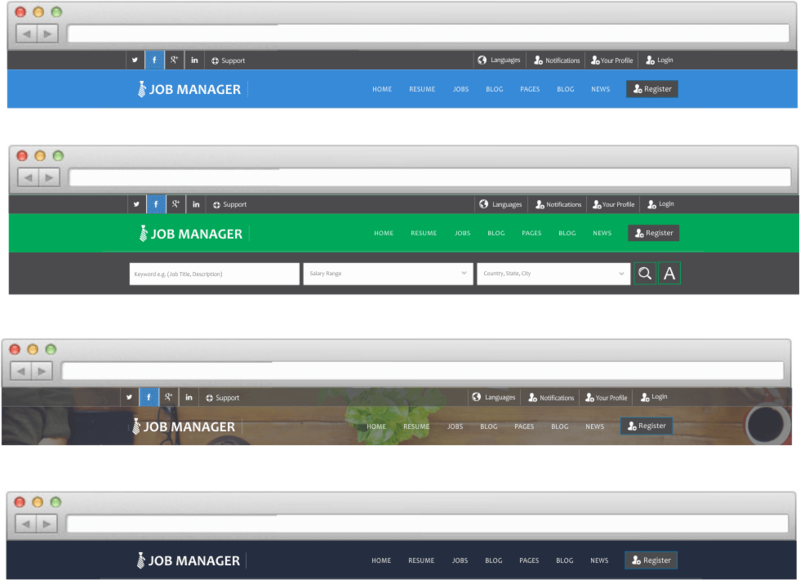 Job Managers comes with extensive feature administrator custom tool including unlimited color options, live preview of changes and also offers seven different color preset themes like Blue, Red, Purple, Brown, Green, Orange and Black. 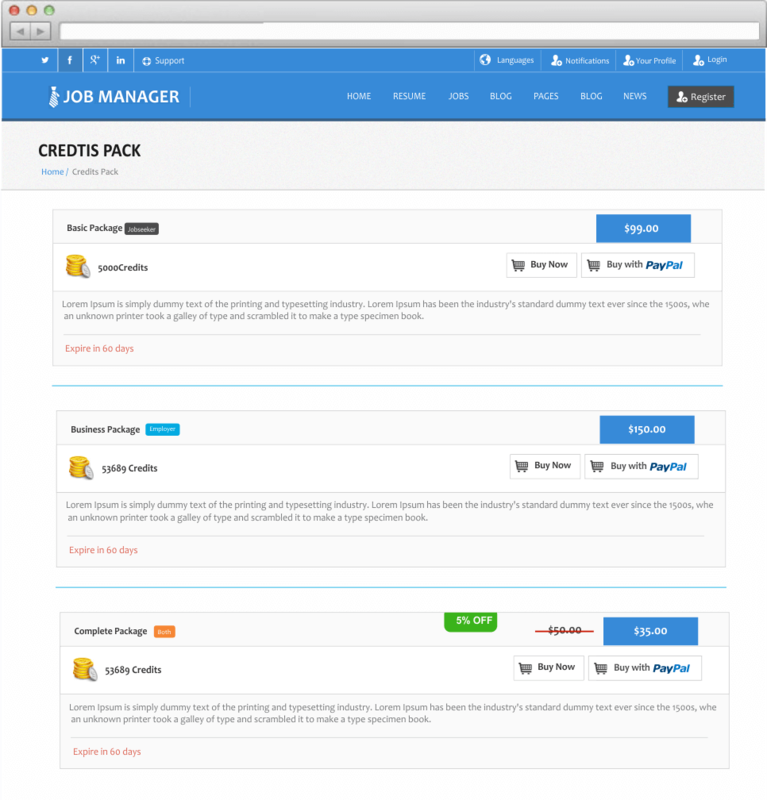 Admin can easily change Job Manager color using color picker. 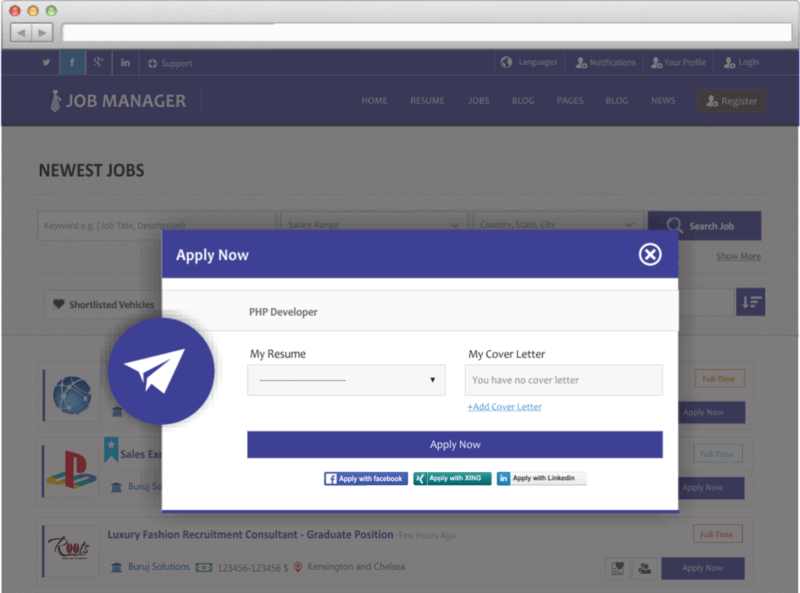 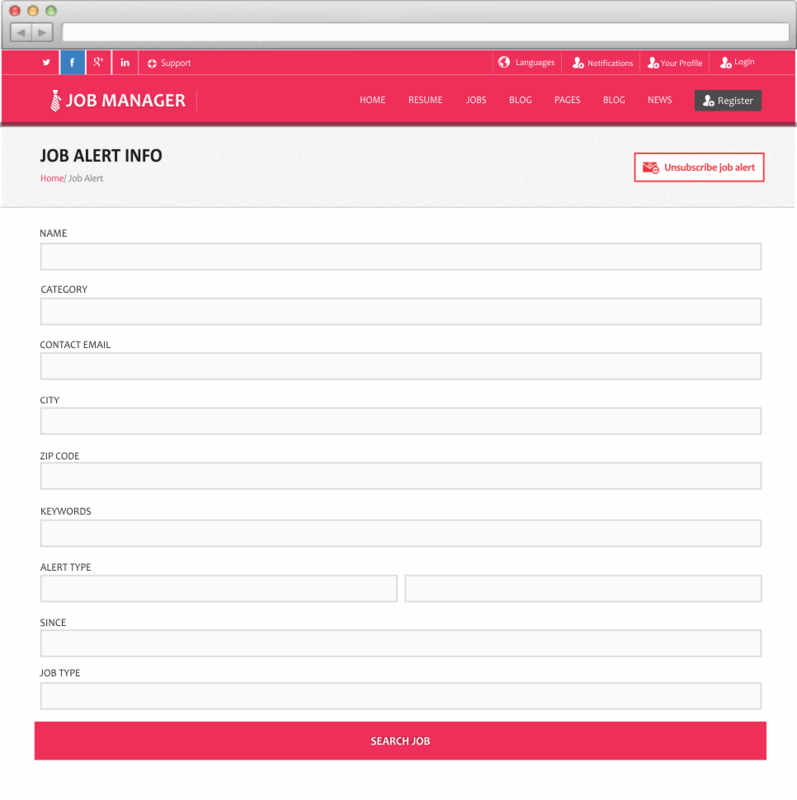 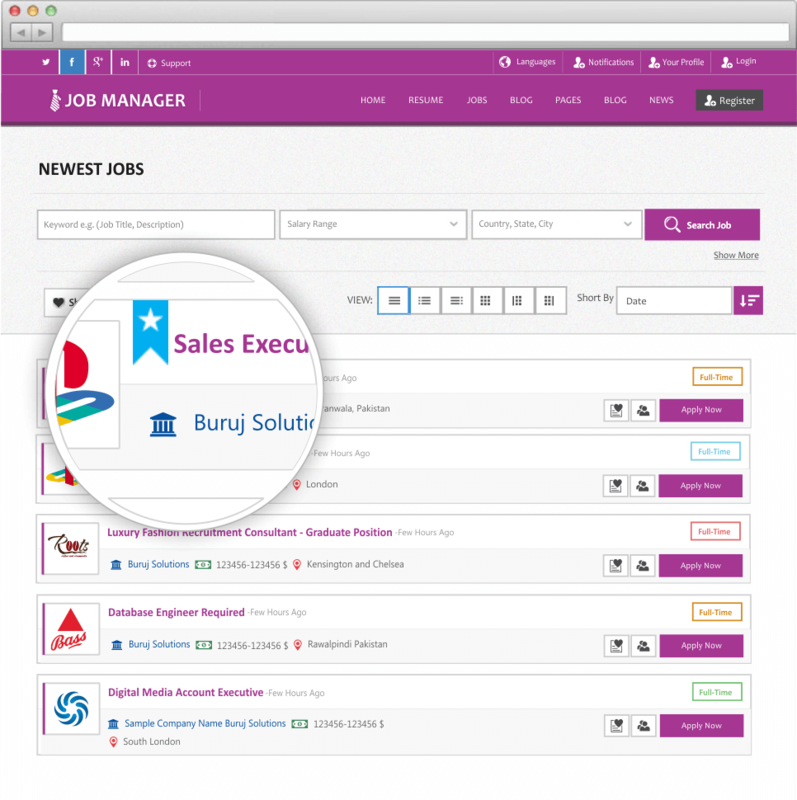 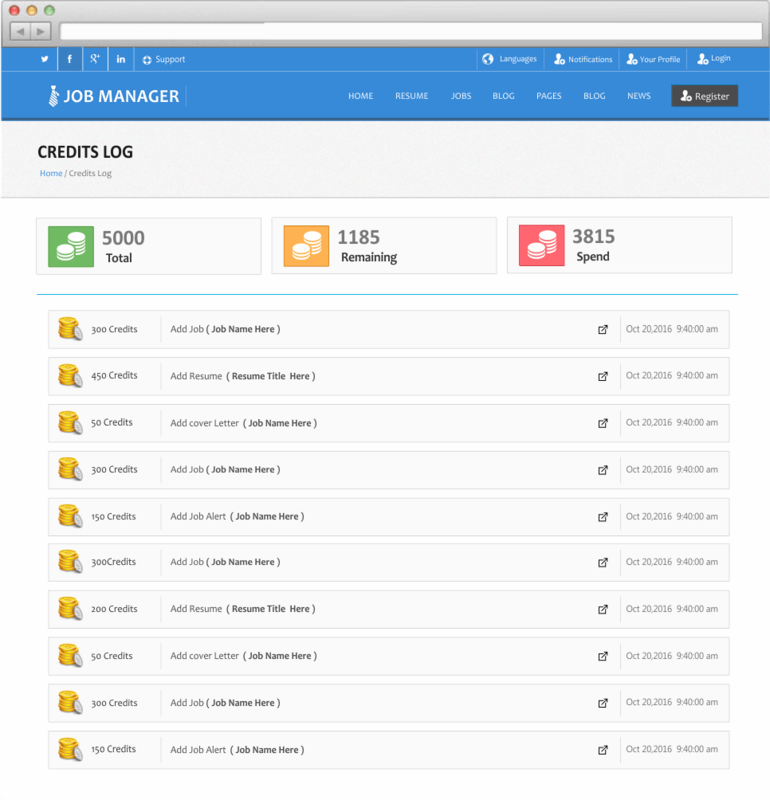 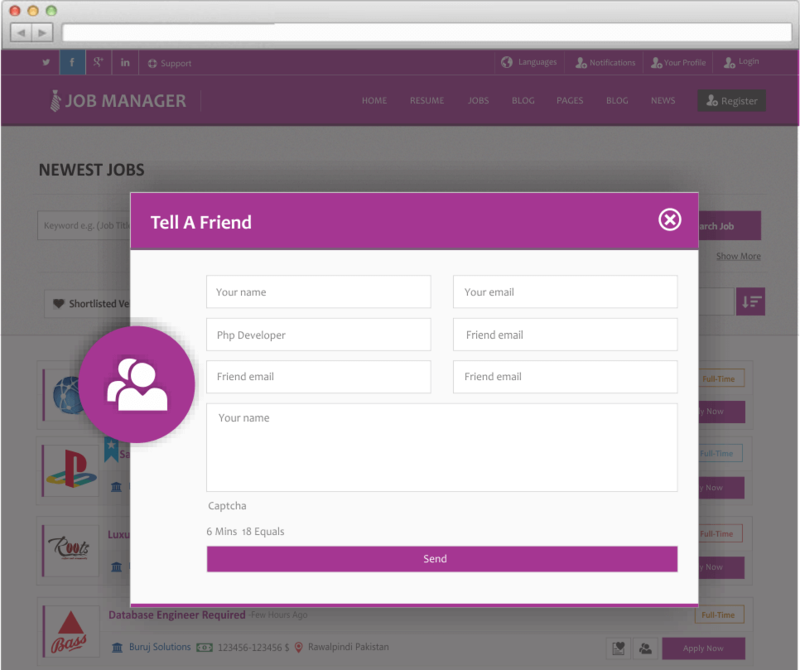 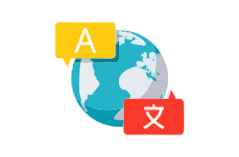 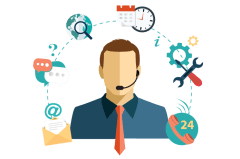 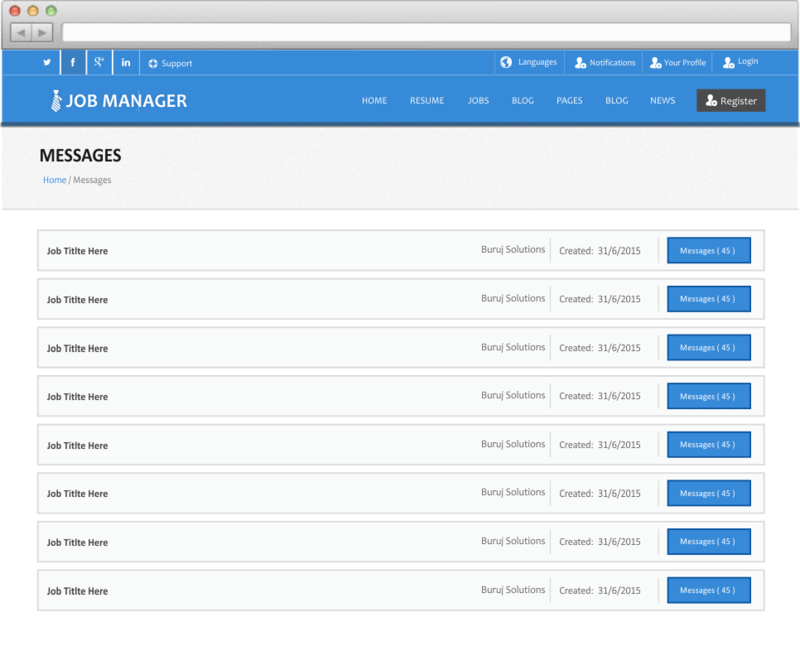 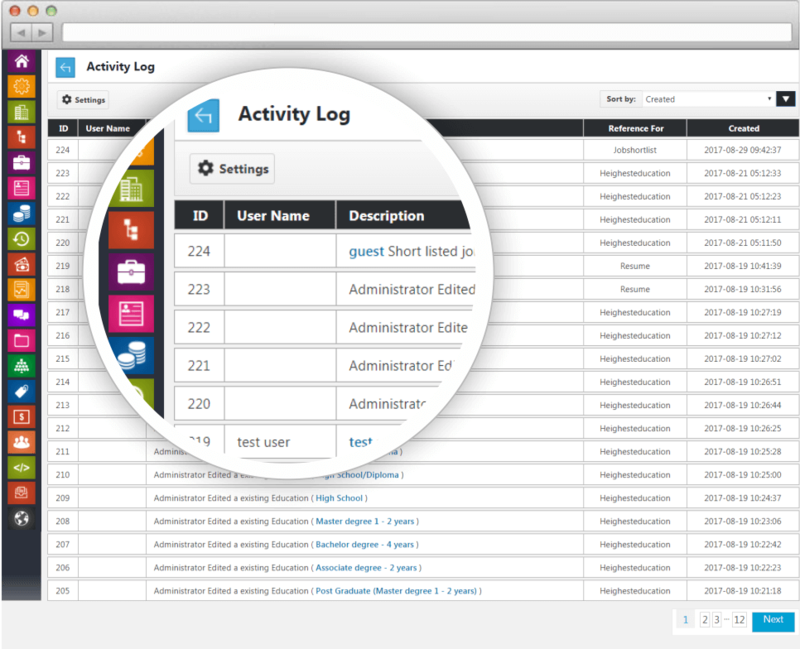 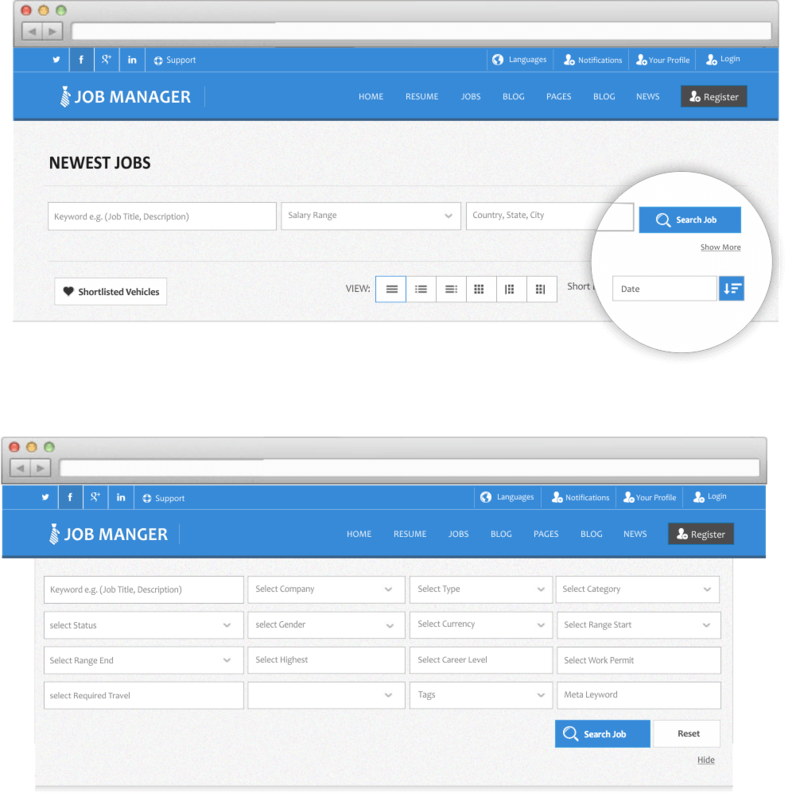 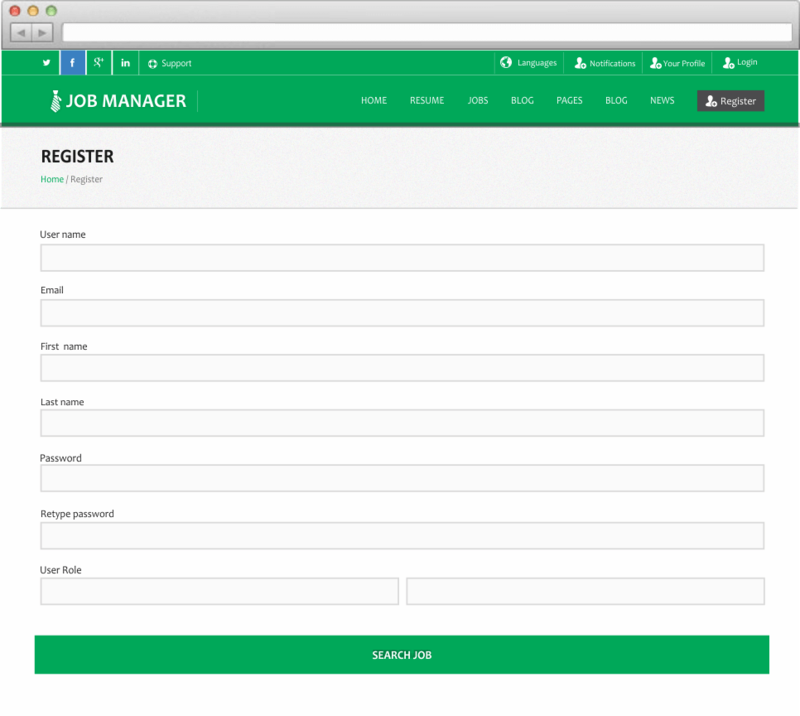 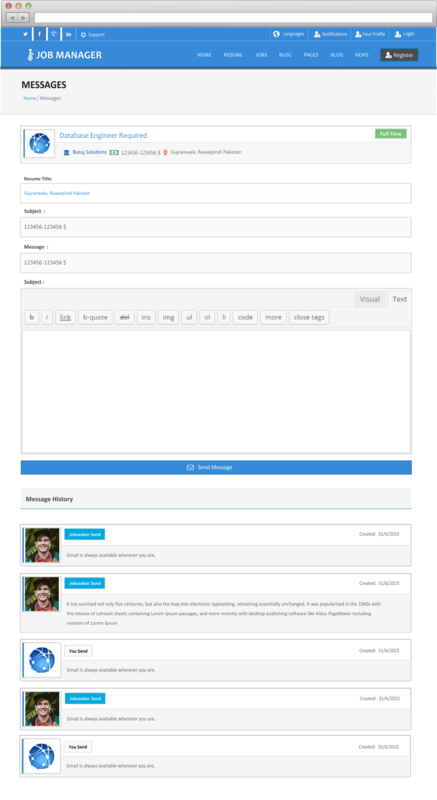 Job Manager always comes with its extensive and fully functional features for its users. 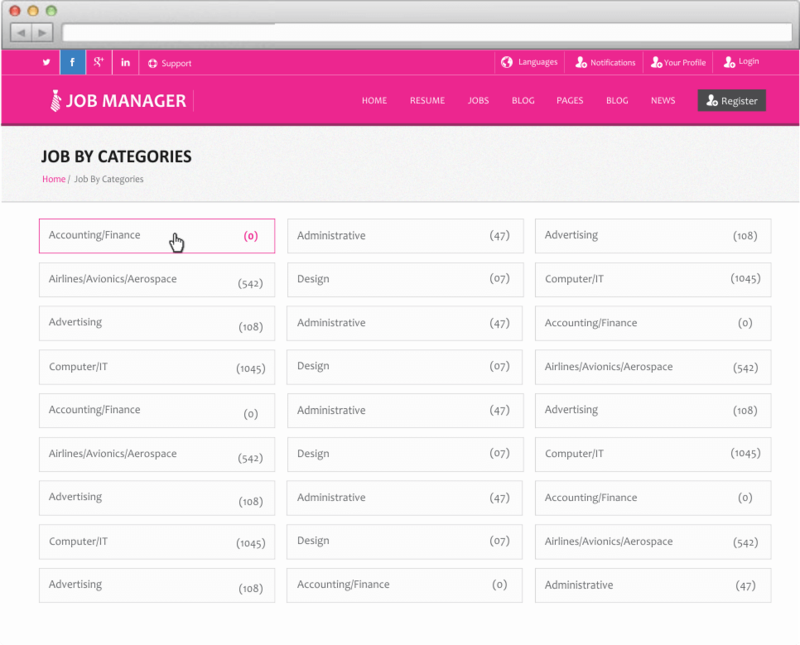 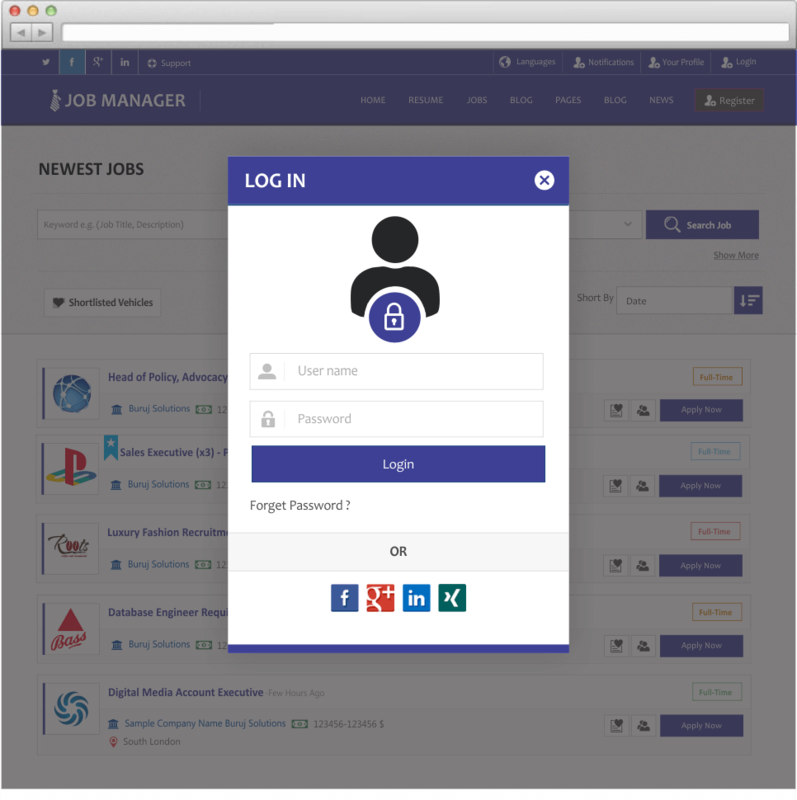 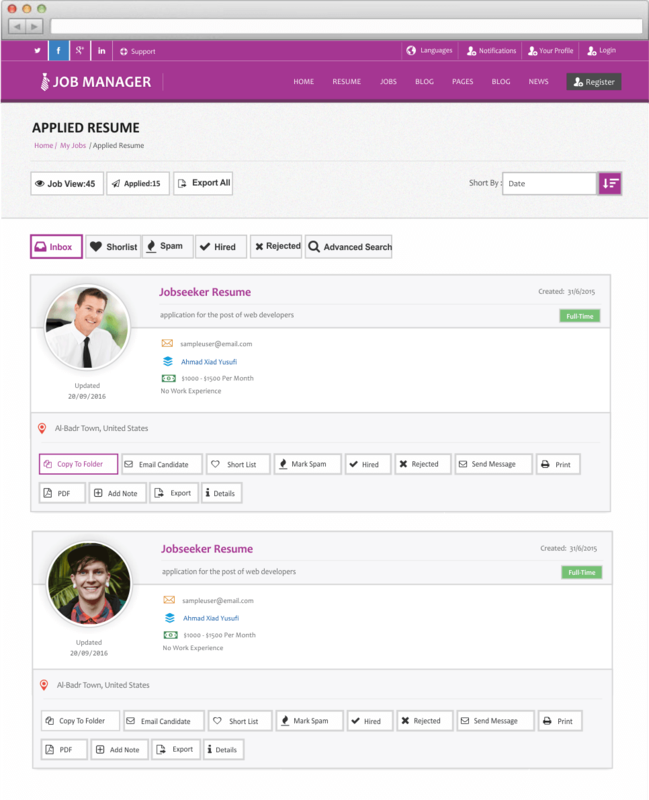 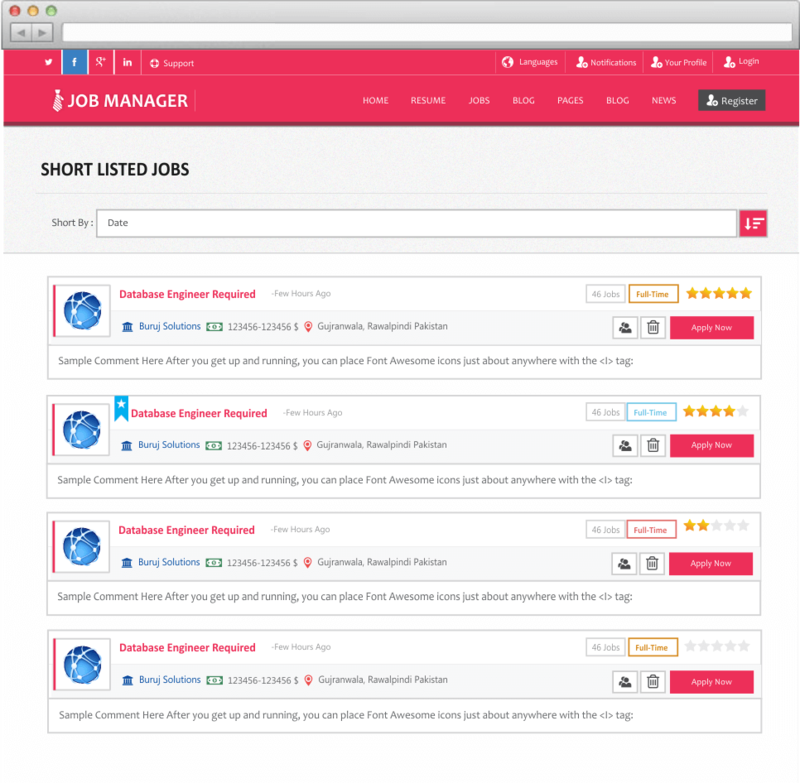 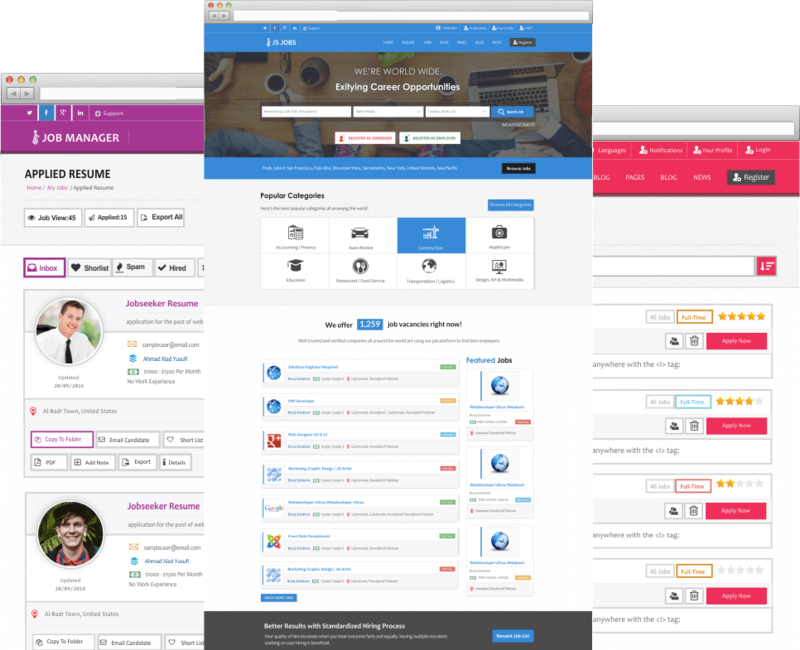 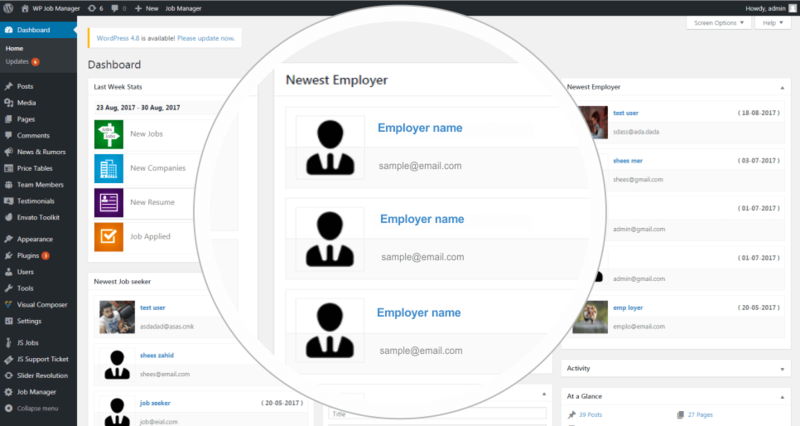 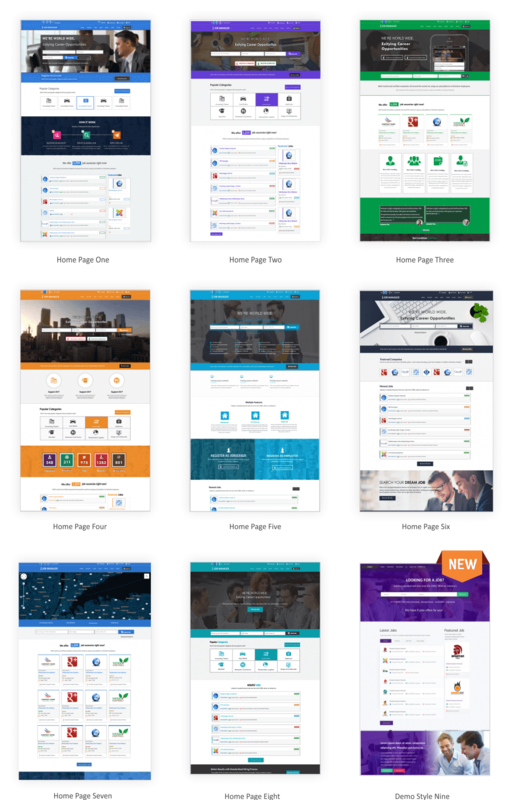 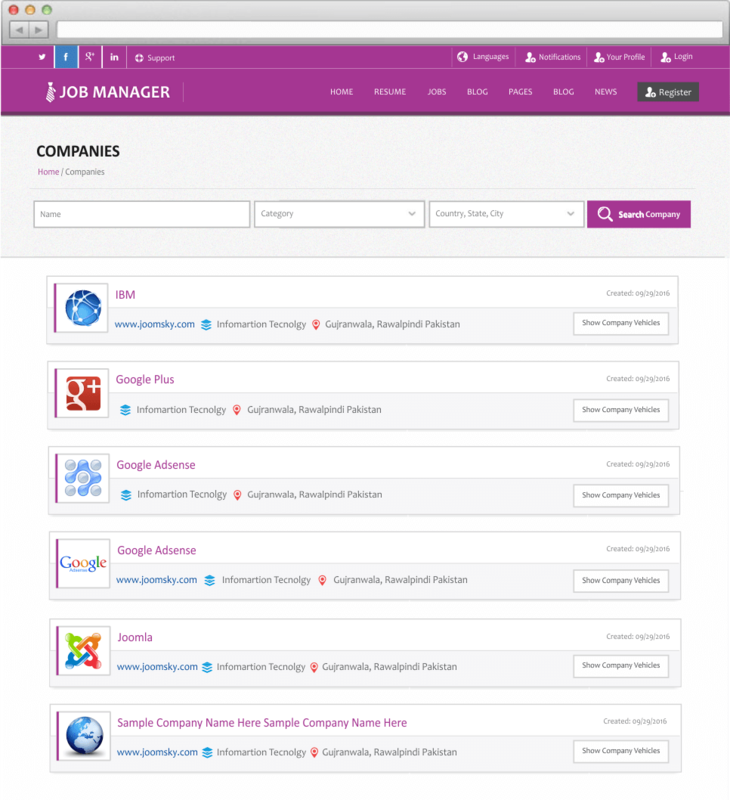 Job Manager offers seven different home pages with seven different color scheme and different layout design. 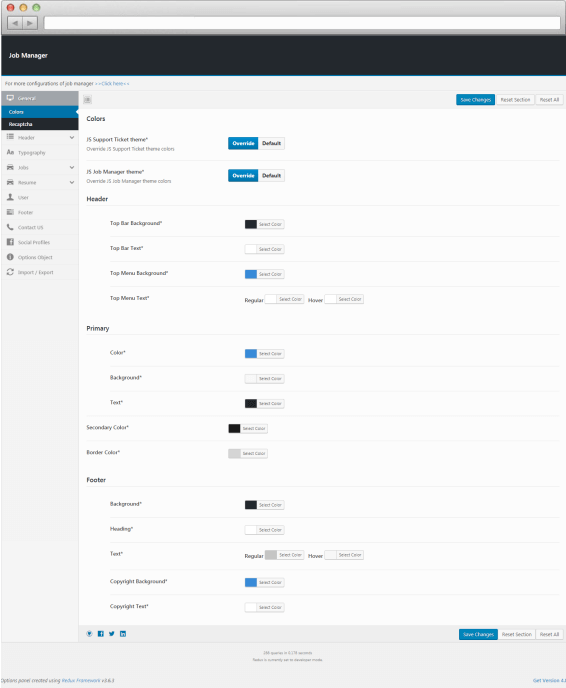 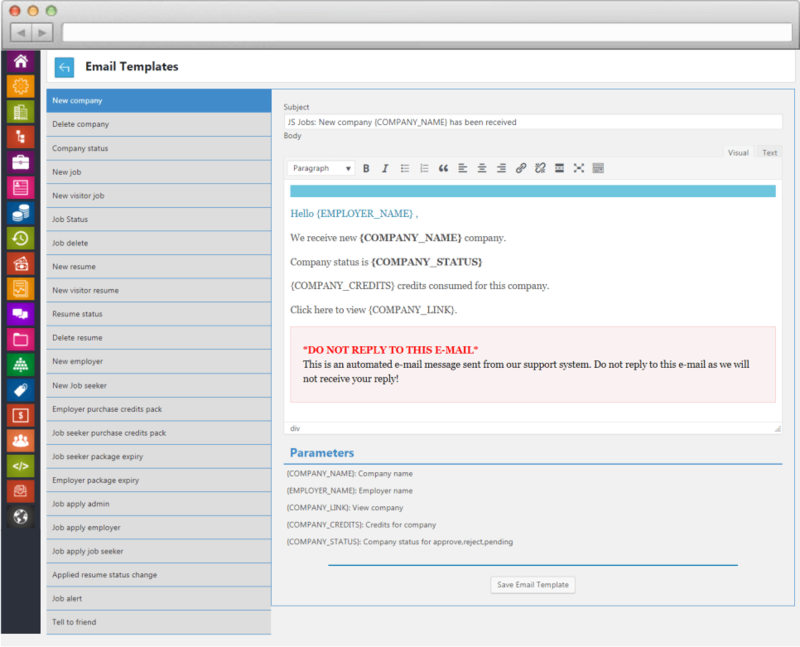 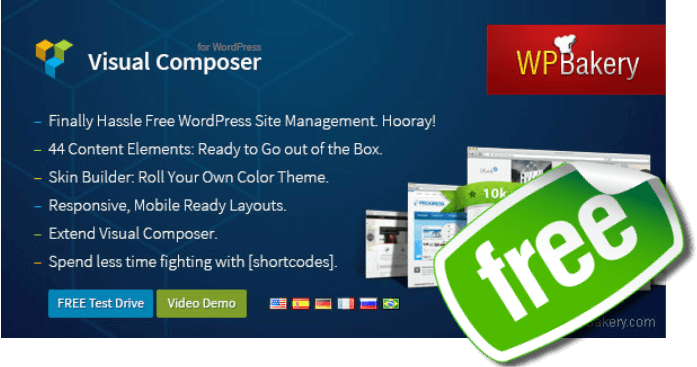 Create beautiful things with already included visual composer. 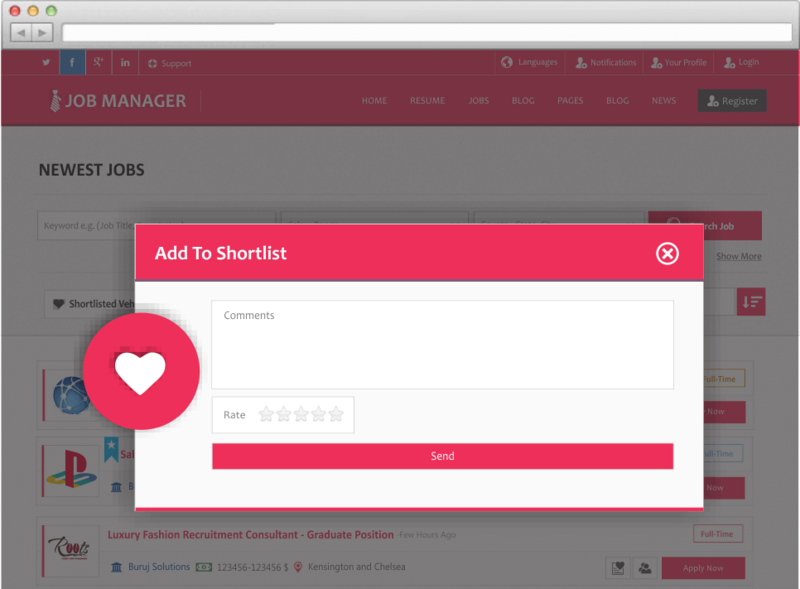 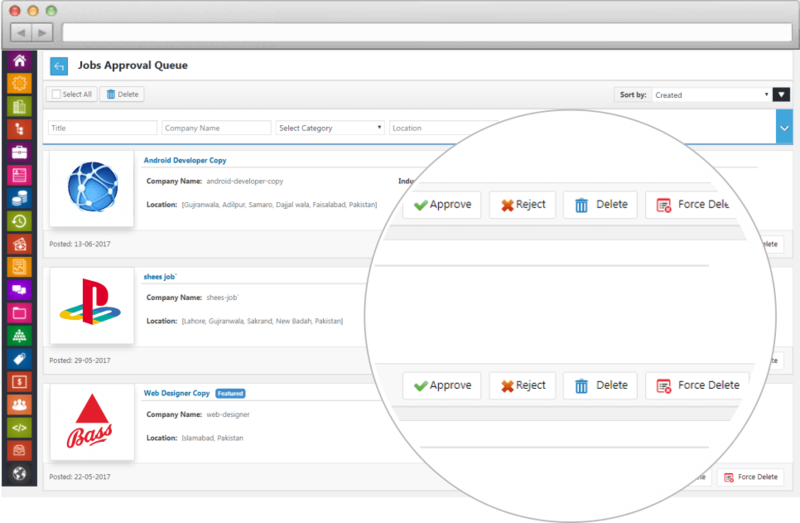 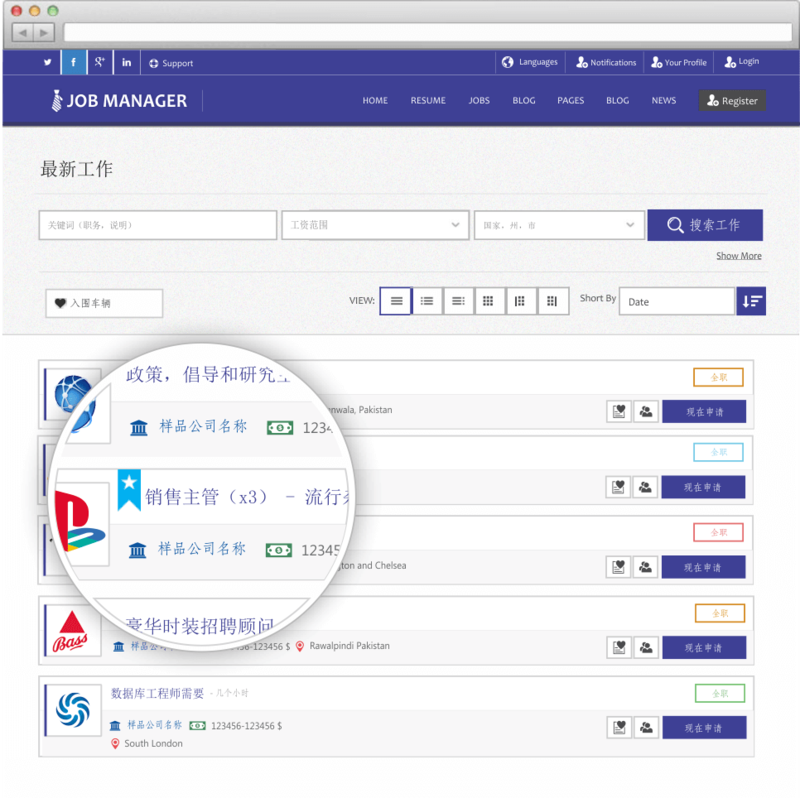 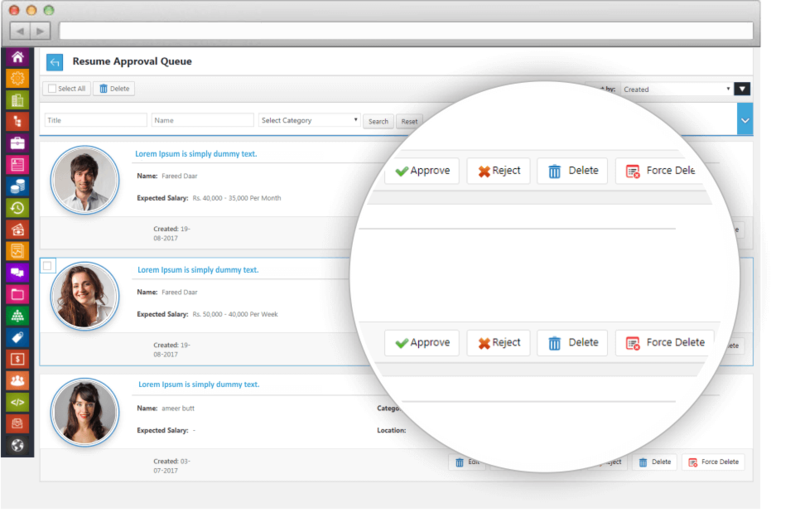 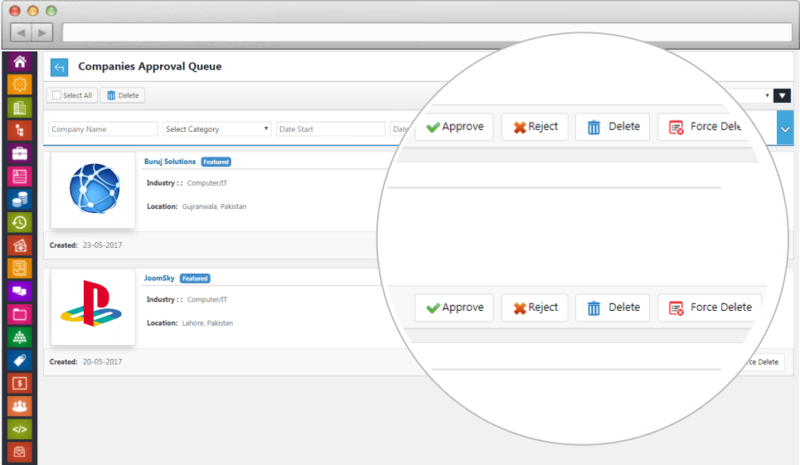 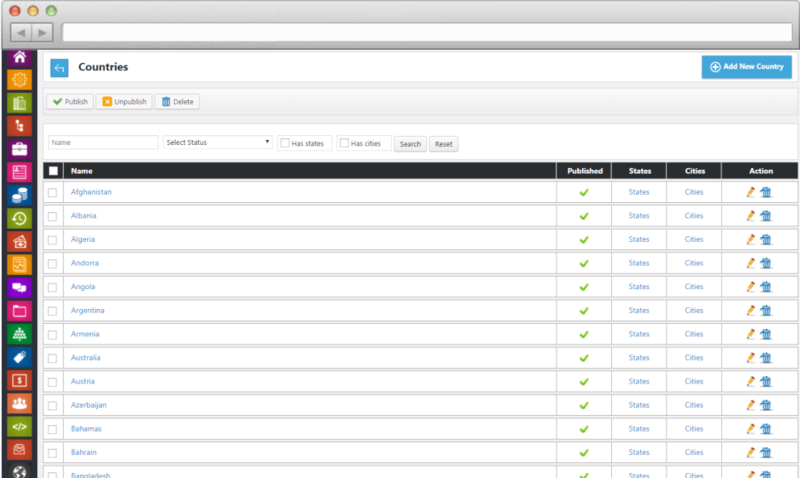 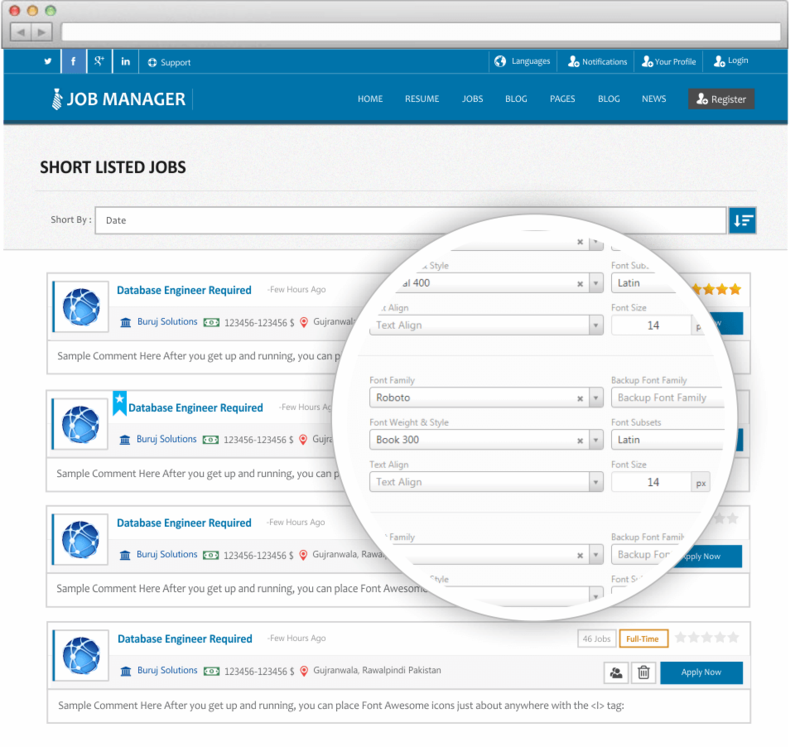 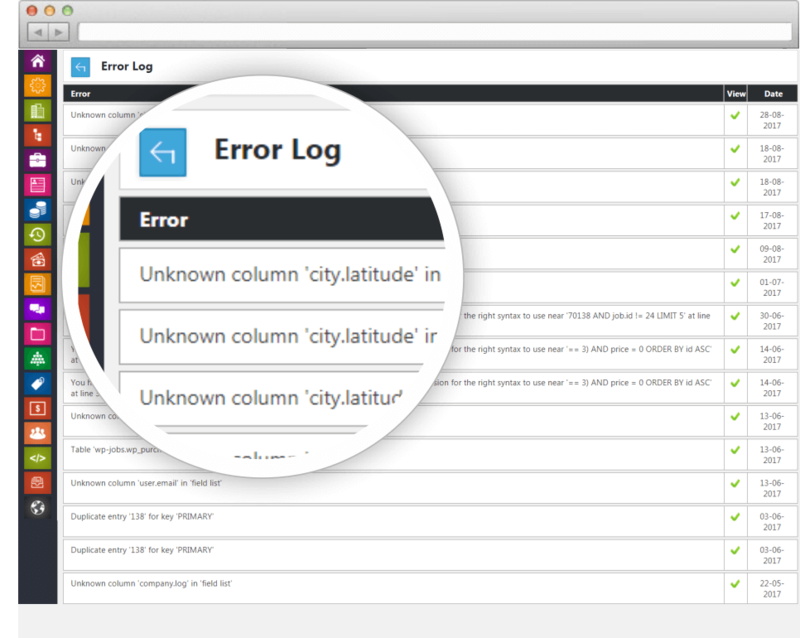 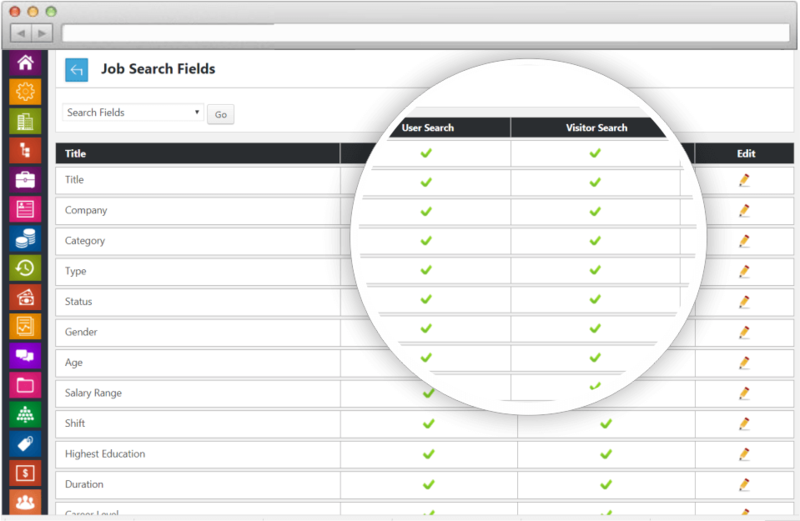 Job Manager offers more powerful and optimize search with penalty of filters.